All three axes adopt high precision 45mm roller-rail linear guideways and Ø45mm ball screws. 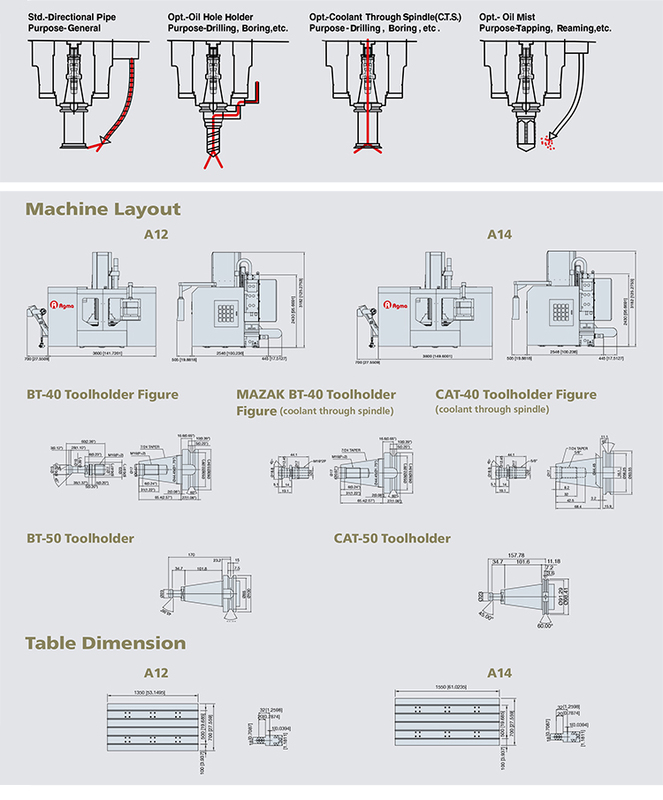 A12/A14's unique four roller-rail linear guide ways with eight sliders on the Y axis enable the ultimate support for high speed and machining accuracy. With Meehanite cast iron across the mach ine structure, machine column and saddle are carefully designed with dual layers casting for the most rigid structure to absorb cutting vibration. 7kw (no counter balance design) for BT40. Ø45mm Pitch 12 C3 ball screw with high class double nut provides strong rigidity, high torque, better accuracy, longlife, and effectively heat extension control. screw-type chip augers on Y axis to increase the chip removable capacity. The unique column design achieves the ultra-excellent rigidity to minimize cutting induced vibration and deformation. Agma conduct 100% inspection to full travel length of three axes. Standard VDI 3441 3δis employed to ensure the machine accuracy and righteous of the inspection. 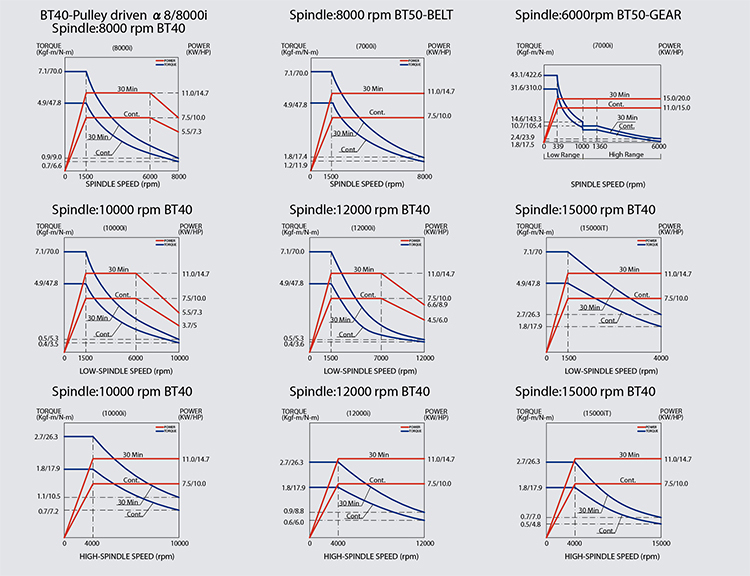 For each axis, inspection along full axial travel length backwards and forwards for 6 times is conducted. The fluorescent light is installed with the fully enclosed splash guard and it is located on the left hand corner, and the quartz work light is installed on the right hand upper corner to provide a well-lit table area. Roller-rail linear Guide ways are used on all three axes. 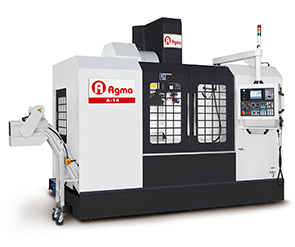 Because of the high rigidity, low noise, and low friction, the machine can perform highspeed rapid movement and excellent circular accuracy. Double nut C3 class precision ballscrews are used on all three axes. Along with pretension double nut and supports to minimize the backlash and to compensate fhe error caused by temperature variation to maintain high position accuracy.